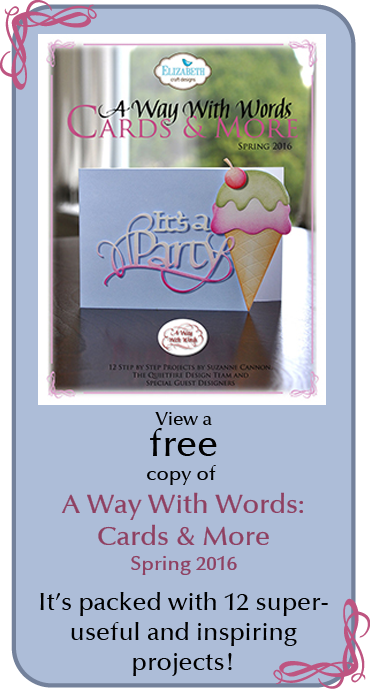 Welcome to A Way With Words! Each day during this event we’re sharing projects made with the brand new Elizabeth Craft Designs word dies. All these designs are from original hand lettering by Suzanne Cannon and can be found on the Quietfire site, and on the Elizabeth Craft Designs site. 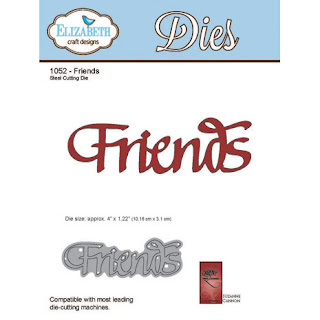 The die I'm using today is "FRIENDS" my favorite word... (at Elizabeth Craft Designs and at Quietfire Design) All the other dies, shimmer sheetz, glitter, sticky tape are Elizabeth Craft Designs products. 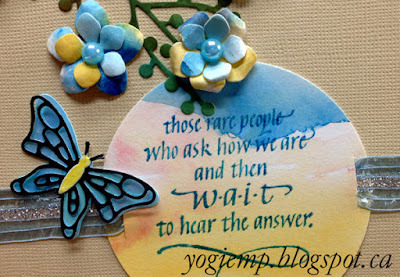 I die cut my word from a piece of decorated 140# Arches watercolor paper I had in my scrap drawer. It has streaks of blue's and yellow's with some nice hard edges in it... Cut the word again from a dark blue heavy textured cardstock. Layered the two together off set to create a shadow. Die cut the "Berry Branch" from Distress inked cardstock in green's. Die cut the flowers "Bunch of Flowers 1" from the watercolor decorated paper. Tooled them to get some shape. Layered two together and added an iridescent blue pearl to their centers. Die cut the butterfly in black for the filigree piece and from blue Iris Shimmer Sheetz. Adhered the filigree to the under body with double sided tape. Added the little body colored with a yellow colored pencil. 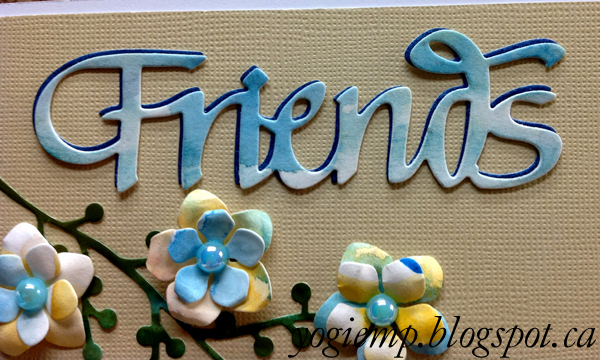 "Friend's are") using Distress "Broken China" on the decorated watercolor paper and clear embossed. Used a 3" circle punch to cut it out. Used an x-acto knife to cut some slits for my Sari ribbon to pass through. Side folded my white card (5"w x 7"h). Cut a piece of yellowish beige textured cardstock a bit smaller than my card front and started assembling my elements. The ribbon circle with the ribbons adhered to the back. Then the word "Friends", then the berry branch and the flowers, and lastly the butterfly. 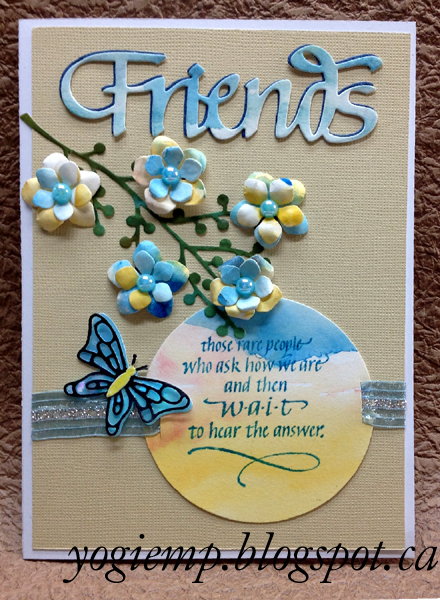 GORGEOUS sentiment, BEAUTIFUL die and DELIGHTFUL card - LOVE IT ALL!!! Love the colors on the card. They are bright and cheery. Really like this die. Sooo lovely! I love that sentiment!